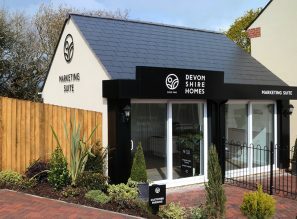 Local independent housebuilder, Devonshire Homes, are pleased to announce that a range of two and three bedroom properties are now available to move into at its popular Bovey Tracey development, The Tors. House hunters are encouraged to visit the well designed two bedroom Tavy house type at Plots 16 and 17, which are now ready for occupation. Both homes benefit from a spacious living / dining room and separate kitchen built to modern specifications. French doors from the living room lead out to a turfed rear garden, a beautiful space to enjoy the backdrop of Dartmoor. A useful understairs cupboard provides storage space, perfect for keeping those muddy boots out of the hallway. Upstairs, potential homeowners will find two roomy double bedrooms and a family bathroom which includes a shower over the bath. Both Plot 16 and 17 feature a single garage plus parking space. Also available now are a trio of stunning three bedroom homes at Plots 27, 59 and 60. These plots are Bovey house types ready to be viewed. These delightful freehold houses feature an open plan kitchen / dining room with French doors to the rear garden. A separate living room provides generous space for valuable relaxation time and in the hallway there is a cloakroom and two cupboards providing plenty of storage space. Head up the turning staircase and potential homeowners can find three bedrooms and a family bathroom. The master bedroom features a fitted wardrobe and en-suite bathroom with a large shower. The family bathroom offers a further shower, over the bath. Outside is a garage and driveway alongside the property providing storage and space for one car and a rear garden, perfect for summer BBQs. An example of the beautiful three bedroom Webb house type is also ready for occupation. Situated on Plot 15, this thoughtfully designed freehold house offers a separate kitchen with a stylish tiled floor and a spacious living / dining room area with French doors opening onto the garden, complete with patio and turf. A cloakroom to the ground floor offers a useful storage space to keep the welcoming hallway free of clutter. Upstairs, the well-lit master bedroom has fitted wardrobes and an en-suite bathroom. There are two further bedrooms and a family bathroom which includes a shower over the bath. Outside Plot 15 enjoys a single garage and parking space. 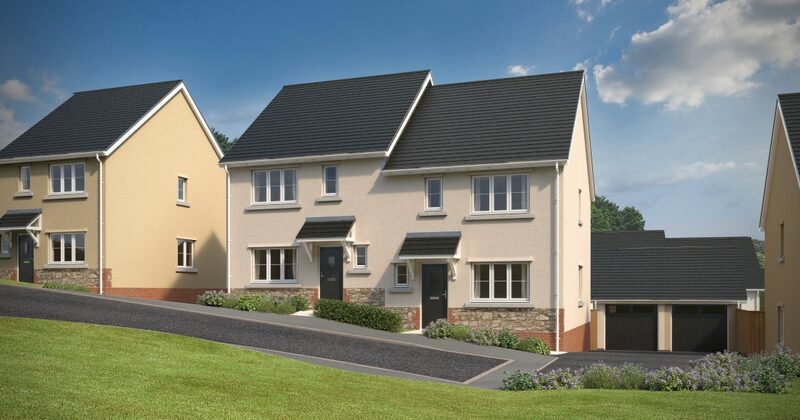 The Tors is a collection of two, three, four and five bedroom homes located on the edge of Dartmoor National Park, within easy reach of the English Riviera and Exeter. 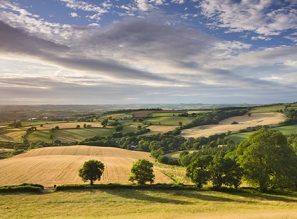 The town of Bovey Tracey is bustling, with a close knit community and plenty of amenities as well as being conveniently close to the major commuter routes of the A38 and the M5. Prices currently start from £209,950 for a freehold two bedroom house.